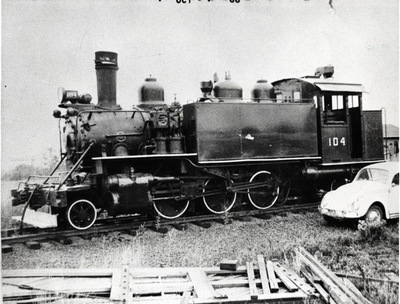 A locomotive purchased by Jay Fisher for tourist use from Cle Elum and Roslyn, Washington. "Railroad" (1965). Frederick Krueger Photographs. 338.